See scenes of traditional Korean life at Seongeup Folk Village, a small, inhabited town that also operates as a government-funded open-air museum. The rock walls and thatched roofs of the buildings have a pleasant, pastoral look to them, while a large number of cultural points of interest, including Confucian shrines and schools, stone statues, and monuments, transport visitors back in time. Look out for the local black-haired pigs running around, a central (and by all accounts very nutritious) aspect of Jeju folk culture. Make Seongeup Folk Village a part of your Jeju vacation plans using our Jeju route planning tool . 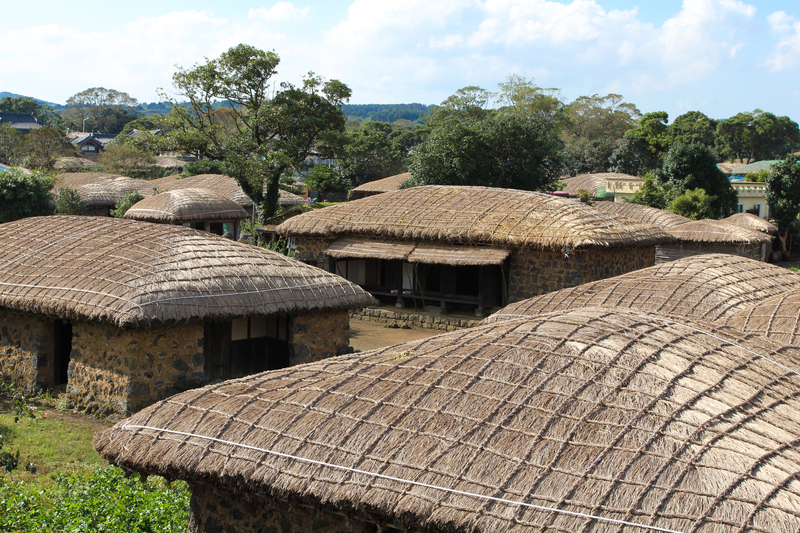 This village is a historical legacy in Jeju Island which still retained its shape until today. A model of his house made of stone-roofed straw roofs looked sturdy and powerful, protected by forts that surround the Kampong. The location is a bit far from the city of Jeju, about 45 minutes away by bus towards the East.